Have fun beating the timer making this online Nebula puzzle. 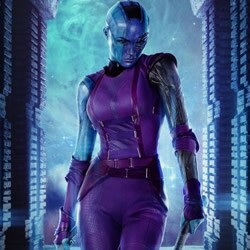 Nebula is an enemy of the 5 Guardians of the Galaxy, fighting alongside Thanos. Discover more of your favorite character puzzles from the Guardians of the Galaxy movie. Enjoy a library of [Marvel] superheroes and Guardians of the Galaxy coloring pages on Hellokids.com. You will have a galactic good time.